Page Navigation facility act as the key feature for any website. If we want to get rid of the older post and want to represent new post in order to make your website easily accessible then we can use WP PageNavi plugin. It increases the availability of the new post and also provides a simple option for navigation. We can show numbered pagination on any website by using Wp PageNavi plugin. Firstly we can download the Wp PageNavi plugin by directly clicking on the link https://downloads.wordpress.org/plugin/wp-pagenavi.2.91.zip and then upload this zip file in the plugin section and then activate it. 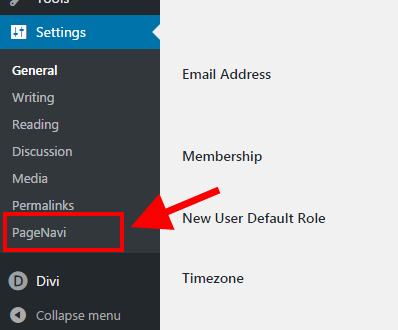 Simply hover on the “Settings” and then click on “PageNavi”. In the Page Navigation Text section, we can do customization related to the text. And in the next section, we can customize the number of pages you want to show, style of navigation and a maximum number of pages we want to show. After performing all of the operations we can observe that in our website an attractive page navigation bar is added at the bottom as shown in the below image. This is the best way to show more and more content on any website by using single page. We hope you get the idea about the installation and implementation of “WP-PageNavi” Plugin. If you face any problem then feel free to ask questions. Thank you. I used this tutorial to insert navigation to my site. The title says it’s in Divi? When I followed these instructions it didn’t show up on my site at all? Help?